Your answer to the “Best Ever” event of the year! Whether it be a large corporate function, Pro rodeo event or country cabaret, the Shannon Smith Band will exceed your expectations. Celebrated for their non-stop, crowd pleasing medleys, this premier show will have guests dancing from dusk till dawn. 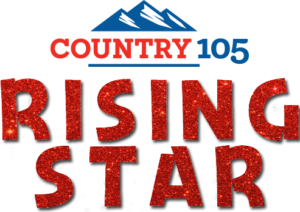 Winner of Country 105/Lammle’s “Rising Star,” Shannon has graced the stage of several top-notched venues and events to include Big Valley Jamboree, Ranchman’s, Grandstand performances and the Pro Rodeo circuit. Her debut album “Tell Me Something,” charted 5 Canadian radio singles with “Settle Down” reaching #2 in Australia. Shannon’s #2 single peaked between Eric Church’s “Drink In My Hand” and Lady Antebellum’s “We Owned The Night!” The new album “I Hate Long Goodbyes,” includes collaborations with Patricia Conroy and “Nashville Star” winner Angela Hacker. Enjoying the success of her albums Shannon Smith has opened for American country supergroup Lonestar as well as Johnny Reid, Duane Steele, Julian Austin and Aaron Pritchett. Never a dull moment as Shannon shares the limelight with her incredible band. Always entertaining, this high energy group will wow audiences performing a diverse mix of current Top 40 Country favourites with popular modern dance-pop/rock and iconic classics. The Shannon Smith band would love to be involved in creating the most talked about event of 2018!